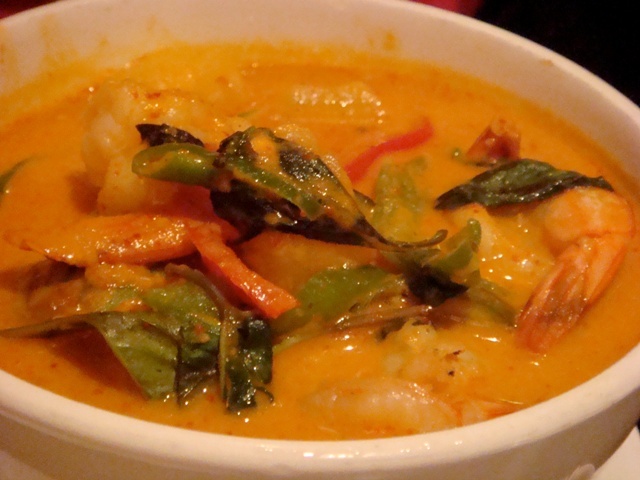 The Red Curry Shrimp is full of flavor and delicious to eat. This recipe is quick and easy to make. Let’s start. In a pan, heat coconut milk with no oil. Whisk or stir Coconut milk, red curry paste and brown sugar so that it get mixed nicely. Boil it for 4 – 5 minutes and then add frozen bean sprouts in it. Remove from heat and sprinkle with dried basil. Garnish it with Cilantro leaves and serve with rice.